Up late tonight catching up on my work. I love what I do! I wanted to share with you loves some cute/rocker flats that spice up a casual look. Ordinary flats tend to bore me at times, I prefer wearing something with detail if I'm just wearing some skinnies and a cute simple sweater. I also love wearing studs on my on my nails. It makes your mani look professionally done. I have gotten so many compliments on this nail art lately. The application is really easy. 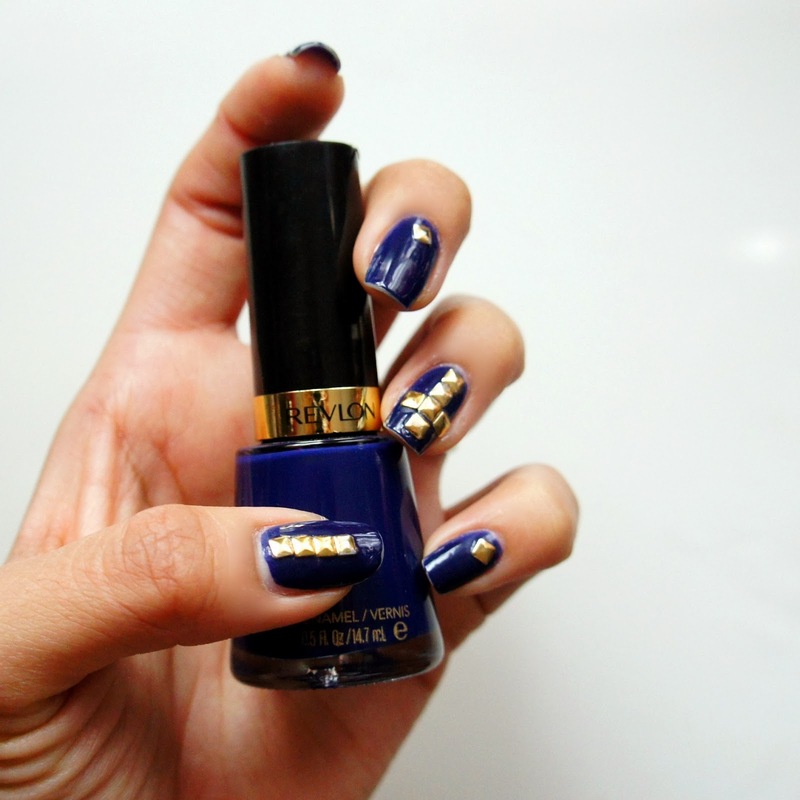 Just dab a dot of a clear top coat nail polish, I recommend Seche Vite, where you want to place the stud. Then coat the entire nail with the clear coat. Depending on your activity they may fall off. The studs on my thumbs fell a lot faster. Regardless they are glamorous and worth the extra time to apply them. 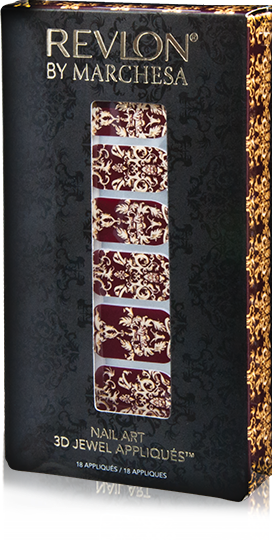 How fabulous are these nail wraps? Ahhh! Supahhh cute! I haven't seen these in stores yet, but you bet I'm heading to Target or CVS tomorrow. I don't know how much they are since I couldn't find them online. 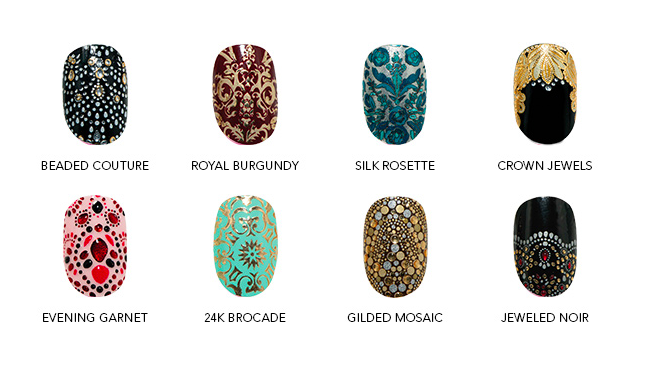 They might be on the pricey side but as long as they are under $10 I'm getting at least two of them, the 24k Brocade and Gilded Mosaic . If you think about it people pay $20 for a single manicure so it doesn't hurt me to get these. Which ones are your favorites? It's way past my bed time. I have to get up early tomorrow and film my glamorous favorites wink wink. I'm also going to try on wedding dresses for the first time. I'm already starting to get emotional. I'm going to be a mess ha ha.